Planning your wedding is never easy. Here are some useful ideas for you. Meaning, the budget. Sit down with your partner and equip yourself with a calculator and decide how much you can afford to spend for the big day. You will have to take the contributions of your adults into consideration too. This might take some time to finalize so it is much better to start this off as early as possible. The number of guests you are planning to invite should definitely depend on the type of wedding and the genre of the wedding too. If you are looking at an intimate wedding you will have to do nothing but cut down the number of heads. Decide on your dress too. 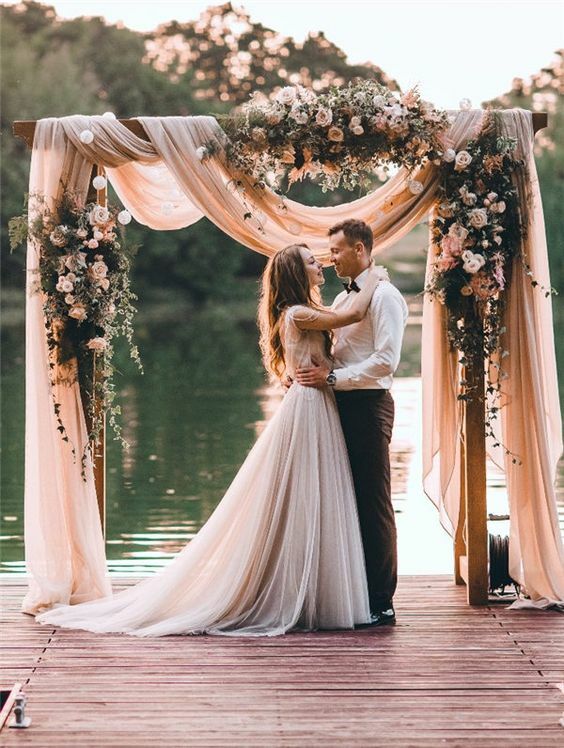 If you are planning to dress yourself in one of the beautiful couture wedding dresses, you might need some extra time with the fittings and the designing. Talk to your designer and open up your wedding scrapbooks and magazines before you get into the designing. Every wedding out of a fairy-tale needs its perfect setting. Find the ideal venue for your ceremony and the wedding reception as well. If you know what you are looking for or if you are inspired by another wedding that took place that you attended, you might not need to do a lot of research. If you have absolutely no idea where to even start the venue hunt, you can start talking to people, looking at wedding magazines. This will be much easier if you have hired a wedding planner. Those who are thinking of a destination wedding might have to start the venue hunt much earlier. They will also have to make down payments for the destination. The vendor team for the wedding includes the caterers, photographers and the videographers, officiate, entertainment providers, the wedding decoration and seating arrangements. Discuss with these vendors about any down payments and when they should be made. Do remember to go wedding cake sampling too. This is one of the very few ways every busy and stressed out bride gets to de-stress amidst all the dress fittings, place setting designing, guest lists and trying to keep to a budget! Start making arrangements for the rehearsal dinner. Get ready with a location as well. If you are planning to include entertainment aspects as well as other special details the likes of cake from groom’s side, you will have to make plans and payments for them too. If you have no idea what you are doing for the invitations, you will have to do some research. Things will come easy when you are dealing with a wedding planner but make sure whatever they design is in keeping with the main theme of your wedding. Once you have designed the invitation cards, start sending them out according to the guest list you have come up with. Request for RSVP for the final headcount.